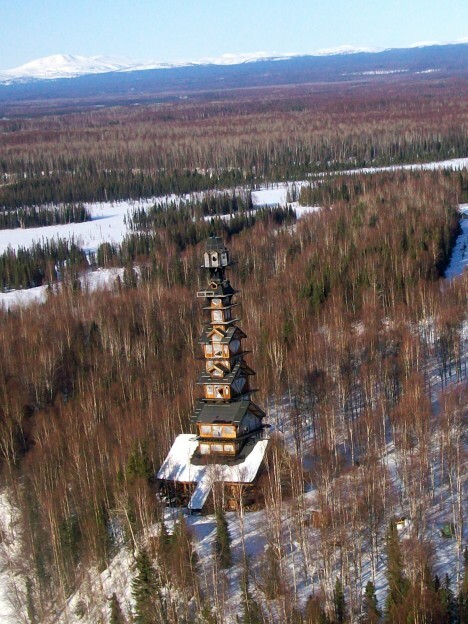 One odd slightly off-kilter story after another was added to this once-modest house in Alaska as the trees decimated by a wildfire grew taller and taller, the owner insistent upon maintaining his view of Mount McKinley. 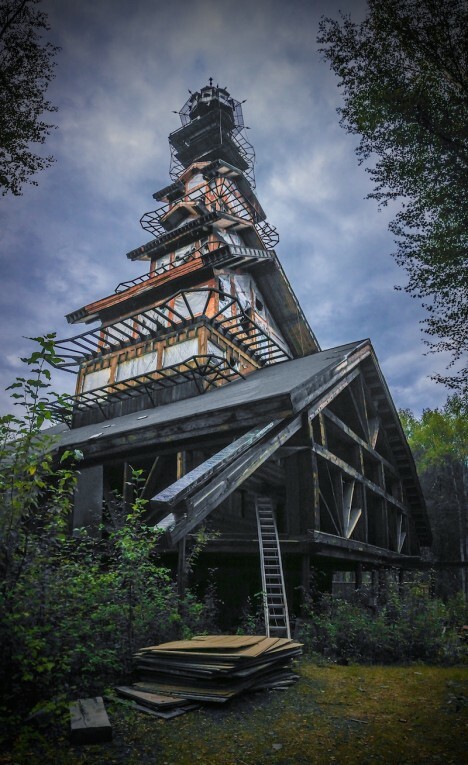 Located in the woods of Willow overlooking the Denali National Park, the tower house began as a one-story that wouldn’t look out of place in any Alaskan neighborhood. The forest recovered and the trees got taller and taller, obscuring the mountain. 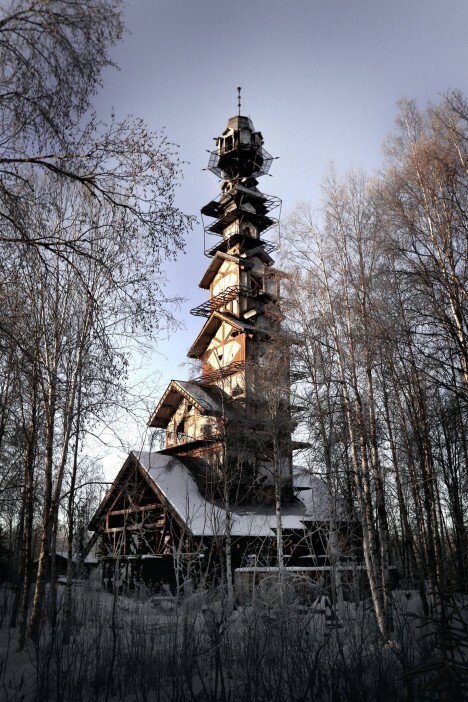 So, the story goes, the owner tacked on a second story. And then a third. 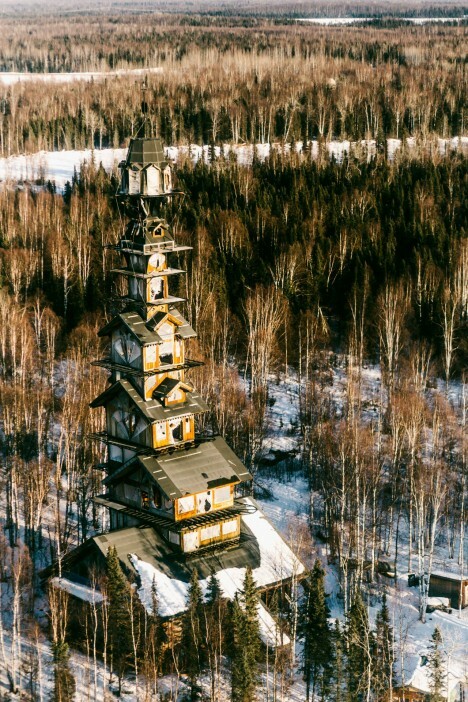 After a while, it apparently just became a fun challenge to see how many tiny rooms could be stacked on top of each other until locals began calling the structure the Dr. Seuss House. 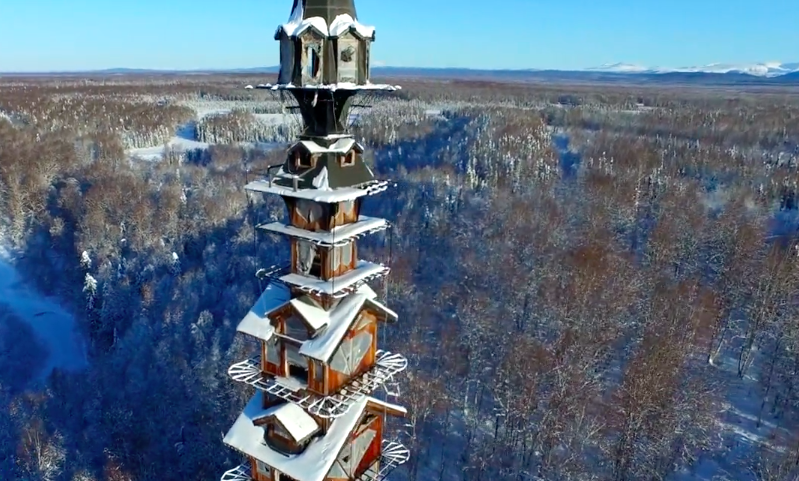 Alaska Aerial Footage swung by the house to capture a dizzying video that really gives you an idea of just how tall and whimsical the house really is. From the footage, it looks as though the upper levels are unfinished, their windows covered in ripped plastic sheeting. 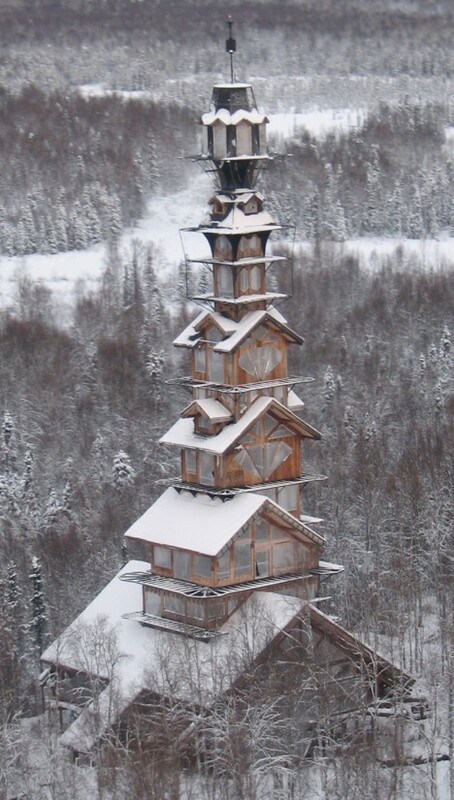 The snow-topped roofs and balconies on each level just add to the slightly surreal effect.